Lawn maintenance is important to attain the green and luscious Atlanta lawn that you want. You need to mow your lawn, water it, and rely on lawn fertilizer programs to help the lawn get the nutrients it needs. 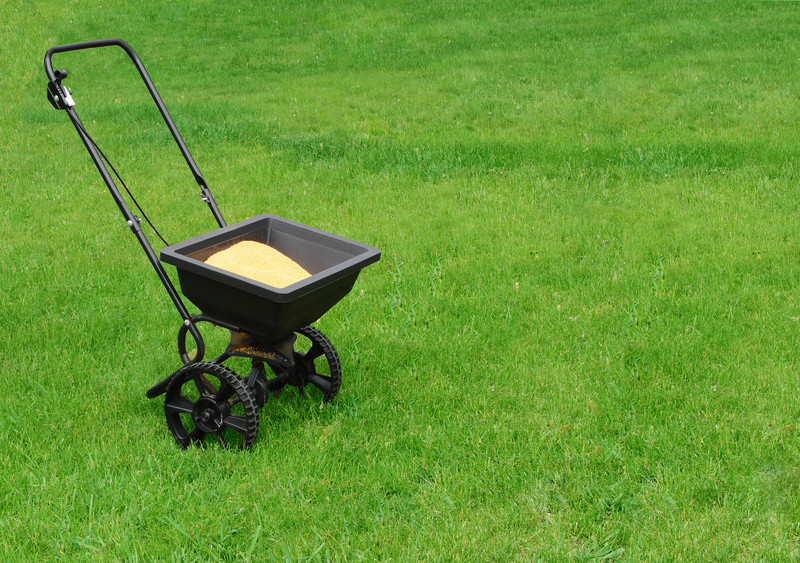 Here’s three steps to ensure you maximize the impact of fertilization on your lawn. how can you get the most out of your fertilizer? Following these steps helps you determine the right fertilizer and professional to use for your lawn. Soil needs to contain the right balance of nitrogen, phosphorous, and potassium. Testing the soil helps you determine the right “recipe” of nutrients required by your soil in various locations to have a healthy lawn. For example, if the lawn needs nitrogren, a soil test will confirm that a fertilizer with 2.5 to 3.5 pounds of nitrogen for every 1,000 square foot of the lawn is the amount needed. Granular fertilizer is best applied with a spreader. Specifically, a rotary spreader is best to spread the fertilizer evenly across the lawn. The spreader should be calibrated to apply the fertilizer evenly and at the correct rate. And always be careful when applying fertilizer to keep it out of nearby water sources, such as lakes, wells, or storm drains. If you want to keep your lawn look beautiful throughout the season, fertilizer should be applied every 6 weeks during the spring after mowing the lawn 2 or 3 times. During this time, it’s going to take .5 to 1 pound of fertilizer for every 1,000 square feet of the lawn. Additional fertilizer should be applied in the fall to help the root system grow strong before winter strikes. There’s even the option to apply winter fertilizer to protect the ground during the late fall. If possible, fertilizer shouldn’t be applied during hottest part of the day, or during extremely windy conditions. You don’t want the fertilizer blowing onto the sidewalk or into a body of water. Lastly, if rain is not in the immediate forecast, be prepared to turn the sprinklers on after applying fertilizer to water it in thoroughly. Did you know that homeowners spend over $30 million every year on lawn care? On top of that, most homeowners hire professionals to help them with lawn fertilizer programs because of the ease and professionalism they provide. For help enjoying your lawn, consider hiring a professional to help you determine the right fertilizer to use and to apply it correctly.